Add the ultimate touch to your vehicle's interior with performance gauges. Performance gauges make your vehicle's interior pop while enhancing the functionality of your dash. They can help you keep an eye on performance as well as the vital signs of your vehicle, all with an extra dose of style like no other accessory. 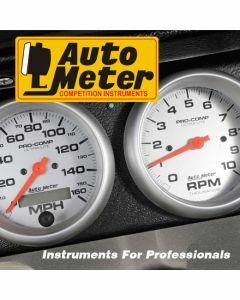 AutoMeter gauges can be found in everything from your neighbor's truck to the roaring hot rod around the corner and offshore boats jetting past the coast.